Installing TAP® Pest Control Insulation in your home has additional benefits besides permanent pest control against typical attic invaders. 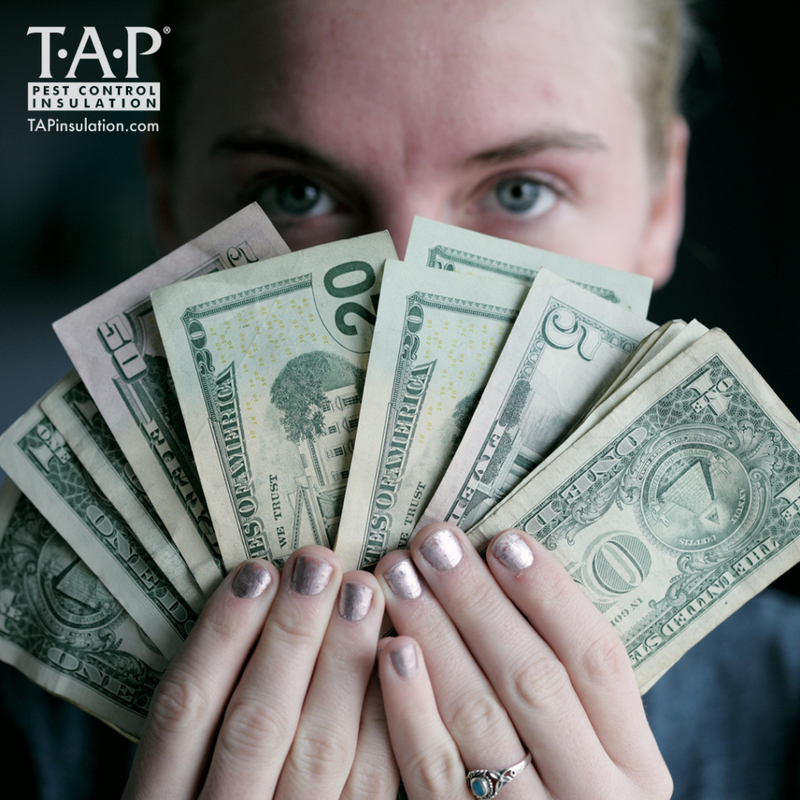 TAP® Pest Control Insulation bears the ENERGY STAR® Seal & Insulate mark which qualifies it for local, state, and federal tax credits and rebates. Are you ready to improve your home, your family’s comfort, and add a little bit of “cha-ching” back in your pocket? Check out our rebate database and then contact your local pest control professional about installing TAP® Pest Control Insulation in your home. Note: Pest Control Insulation, makers of TAP® Pest Control Insulation, is not responsible for rebate information or awarding of such rebates. For insight or advice, we recommend speaking with your preferred tax accountant or financial advisor.